Want to Expedite the selection process? 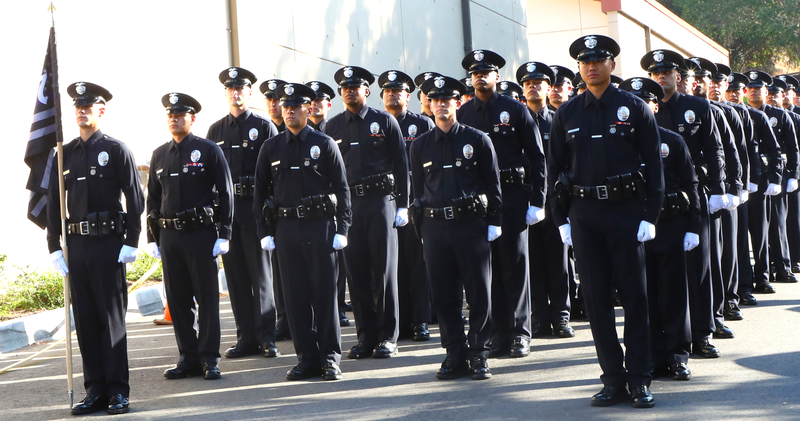 Candidates serious about becoming an LAPD officer in as little as 4 months and who are ready to navigate the LAPD hiring process should consider the Expedited Testing Process. An Academy class starts every 28 days, and some Expedited candidates have made it to the Academy in 50 days. The Expedited Process is four consecutive days (usually Monday – Thursday) of testing for the Police Officer process. Choose the week best for you! Expedited Testing is typically scheduled 6-8 weeks in advance. Candidates applying from out of town are encouraged to apply for the Expedited Testing Process. To be selected for Expedited Testing, Apply online, print out the application and call 213-473-9060 to secure the best week for you. Select option 1 for details.